Wolf Gordon’s impressive Wink surface can turn any wall into a dry erase board. The design possibilities are endless considering Wink is completely translucent and can be applied to any color paint, wood, metal, or patterned wall covering without changing the original look. 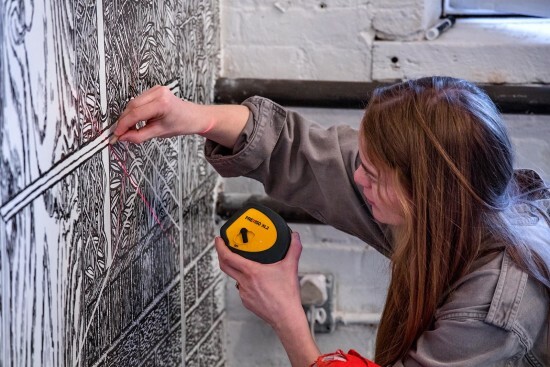 U.K.–based artist Charlotte Mann created a site-specific, large-scale installation at the Gowanus Souvenir Shop using the product that is on view until March 13. 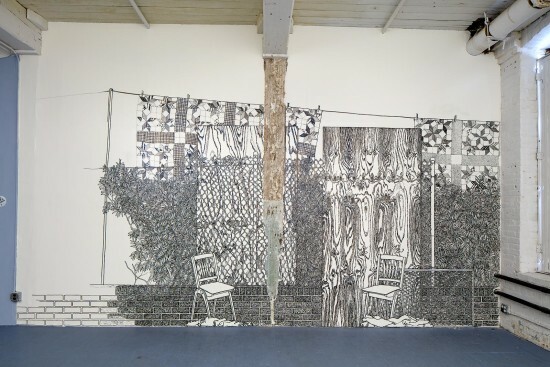 A portion of the installation has been photographed and reproduced as a limited-edition digital wall covering that is for sale at Gowanus Souvenir Shop, 543 Union Street, in Brooklyn.